Thought to contain the same abilities as the rest of his multiple relatives, Limp doesn't. He exists simply as a normal dragon to everyone else, with the faintest amount of shade and code energy radiating off him only able to be detected by those within seven generations of Naomi. Limp is a dragon who seems pretty dead. He uses sarcasm a lot, but due to the lack of expression he can some times come off as stuck up. He was born into a clan of light. From day one he knew this clan and all his clanmates weren't normal. 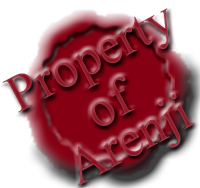 The name of Arenji spoken in awe. The name of Naomi praised. His heritage and bloodline respected. Taught of Arenji, he quickly awoke to realize reality wasn't quite real. As he grew up, he realized he was an anomaly within abnormality. While his siblings easily caught on with harnessing their powers in controlling the exalted, it was where he fell flat. Naomi's blood ran through him, but he could never harness the abilities that came with it. It was why he gained the nickname, the name which would eventually become his formal name: Limp. "Dad I'm hungry," he said one day to his father. He and his siblings had been practising raising and commanding the exalted, and he had wielded no results. "Command one of them to get you something then." As much as he willed it nothing happened. Looking at his siblings who were all commanding the exalted with ease, treating them as personal servants, he gave up, going to get his own meal. His parents, particularly his father, refused to give up on him. He insisted that his son was just a "late bloomer." Apart from the training his father gave all the Naomi descendants, he was still able to participate in the regular spy training with results that were good enough to satisfy. Eventually finishing with the standard training, he still couldn't really grasp the other side of his training. It exhausted him. He found himself constantly tired. He hated how he couldn't do it, and how he was essentially an embarrassment to his bloodline. Having being born and raised in his clan, he assumed the only reason he couldn't compare to the rest of his family wasn't some genetic fluke. His only explanation for his failure was because he had displeased Arenji, the one who controlled things like this. Limp didn't know what he had done to displease her. When the time came for Limp and his siblings to depart from their home clan, he didn't look back as he departed. Perhaps fulfilling the duty of being sent out would rid him of his inability of the usage of his abilities. As he flew around, now without a clan where the morals of Arenji were constantly brought upon him, the feeling of somehow displeasing Arenji only lay as a thought in the back of him mind. Even if his mind had been cleared of such thoughts since leaving, his level of energy never did. Limp constantly travelled in a state of tiredness. The actual action of flight didn't tire him, yet he still felt constantly drained out. The impact of being in his past clan was permanent in that regard. He had been well out of light's territory and now in the Tangled Woods before finding a few clans he liked. He hadn't settled, but was looking at them from afar, observing them to see which would be his best fit. Eventually he grew bored of waiting - each clan showed equal potential, and he had no bias towards a certain one. Limp decided to land, figuring that whichever one found him first would be the one he joined. He landed and waited. Eventually he had been found by a group of three: one pearlcatcher and two spirals, all male. "Hi I'd like to join your clan if that's okay." Silently greatful that none of them were faes who'd be able to recognize how drained he felt, he waited for the acceptance or rejection. Have I succeeded in spreading Arenji's will by being here? If she truly isn't happy with me, I guess this could be the first step to making it up to her. He blinked, expression unchanged on the exterior, but slightly surprised on the inside. It had been a while since he had thought of Arenji, but he obviously hadn't forgotten about her. She lay in the back of his mind permanently. Even if he was asking to join here himself, part of him still felt that Arenji had some factor in it. 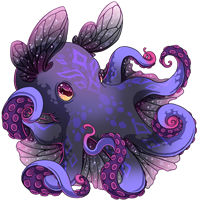 "I mean you probably could, but we'd have to double check with our leader," the one who was a pearlcatcher responded, before turning to the dark gray spiral with splotches of purple, red and white. "Umbra, could you go back and get Twinkle?" Umbra, as he was called darted back, leaving Limp with the pearlcacther and spiral. The whole exchange had brought him back to the world around him instead of his mind. In the silence that followed, the remaining spiral started to approach him. Limp didn't know why, but prepared himself incase it was an incoming attack. "So, why would someone like you want to join? What made you leave your old clan?" "It's complicated. Something about... Family." Memories of failed training sessions flashed in his mind. His explanation formed a partial truth. While neither of his parents had outwardly looked down on him about it, he had flunked the heritage part of training.  The spiral's gaze looked like it softened a bit, but he couldn't tell. The spiral looked back briefly at the pearlcatcher. Before anymore could be said, Umbra had come back to the clearing, with a shorter Fae then himself with him. "So you're the one who wants to join the clan?" The Fae spoke to him. He felt a tone of authority displayed in her crest movements, but it wasn't hostile. "Twinkle," the spiral who had spoken with him said towards the Fae, before moving swiftly, and whispering something he couldn't hear to her. While her facial expression stayed the same, he knew she was slightly surprised about what he had said. "Yeah. I'd like to join your clan," he said to her. Limp wondered what the spiral had said, but didn't bother asking about it. "Okay, you're in. I'm Twinkle leader of the Twilight Circle, or this place. Now follow me, I'll show you around so you can meet the others." As he followed the other four, he could tell that Twinkle could tell there was something off about him. There was no way she could know about the whole Arenji clan thing, maybe she just could tell he was tired. Hopefully that was it. On the way back, he had been told that the other spiral and pearlcacther were named Aim and Whirlwind respectively, and that Aim and Umbra were the children of Whirlwind. Once in the camp, he noticed a violet and blue fae dressed as some sort of jester pass by. Just as he was looking at her, she turned her head to look at him, their eyes meeting. He knew instantly that she was also a descendant of Naomi, of less connection, but regardless still connected. He had never thought that he would meet another descendant of his great great grandmother. However, this meant she knew that he was too. Over his time spent alive, he had learned only descendants of a certain closeness explicitly could detect his own lineage. Everyone else would be left thinking he was normal. The few seconds felt like more than that, but she was gone afterwords. "Oh yeah, that's Biohazard," Twinkle said. "She's also pretty new here. Guess she must have taken notice because of that." "Oh that's nice," Limp responded to her. "I'll have to talk to her sometime." Sounds super dead when he speaks, sort of tired, big fan of using sarcasm. Apathetic towards a lot of things and is sort of numbed out to the world. Does not come across as chill. If anything he sounds a bit pretentious. Had a former name in his lore but was actually purchased pre-named. Hasn't decided on what he wants to do so he kind of does whatever.